Studio-based art-making. 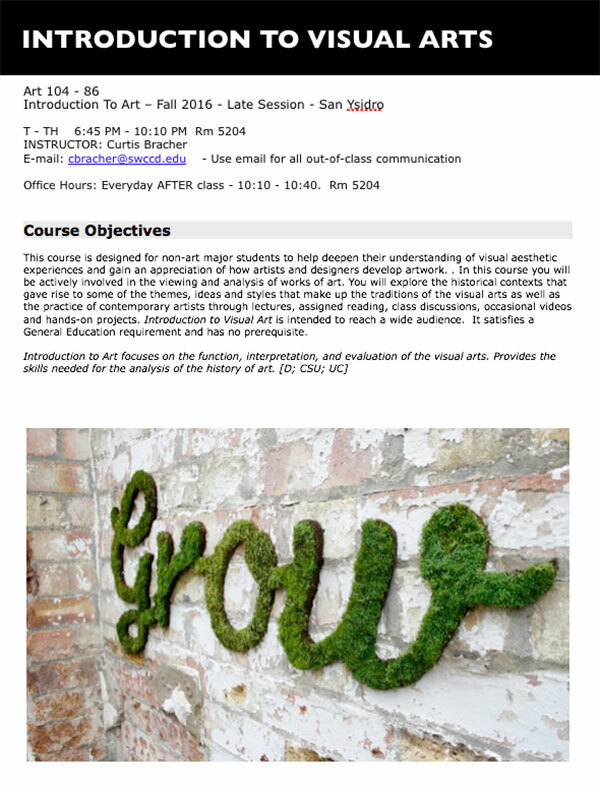 Class syllabi, schedules and Project Lists for contemporary art-making within a studio setting. 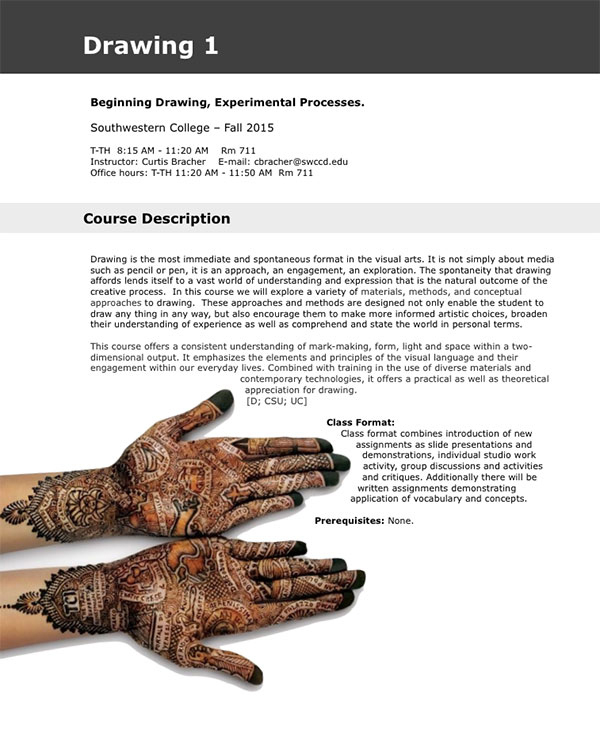 College Art Foundations - Drawing 1/2, Painting 1/2, Beginning 2D Design and Intro Visual Art. 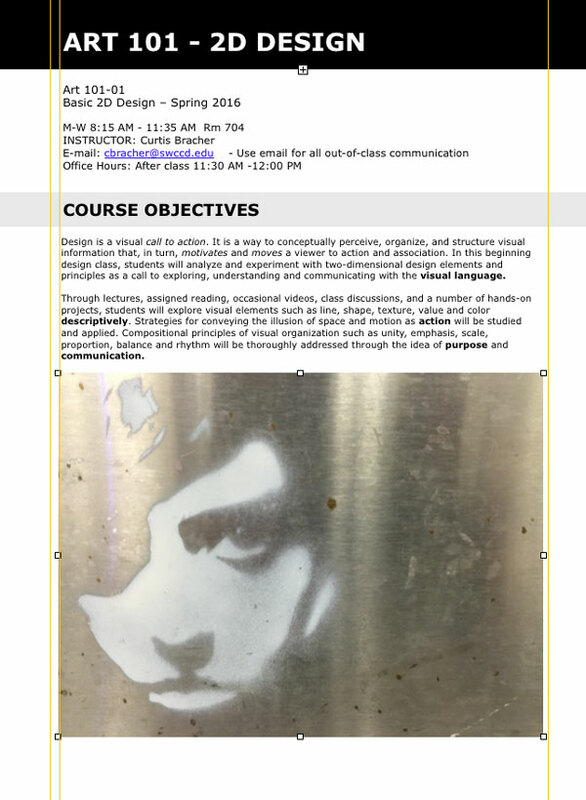 Deep explorations into the Elements and Principles of the Visual Language. Abstract/Visual Thinking. 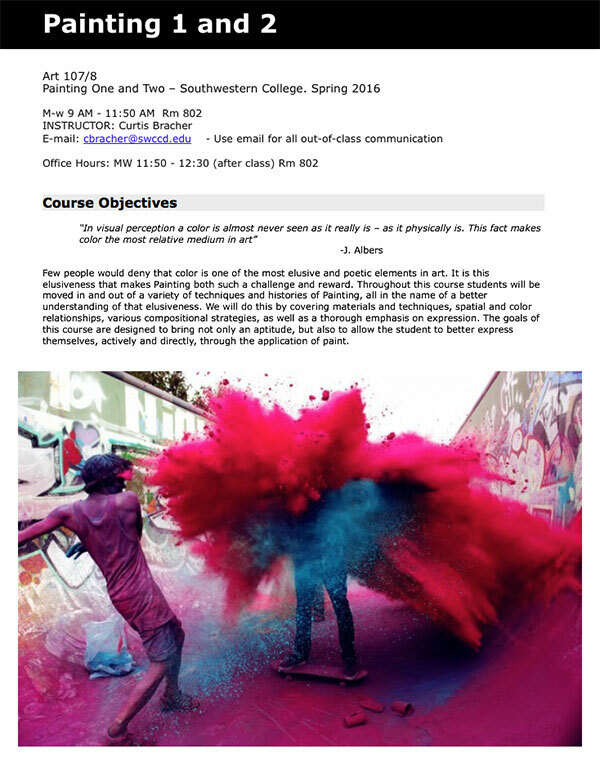 An Introduction to the Visual Language through study of both Contemporary and Historical Art-Making.